If we are dissatisfied, angry, depressed – it is a sign, but also a warning, that we are making a mistake somewhere and that we need help. If we ignore the warning, the pain will become stronger. Oftentimes, to numb our feelings on physical, emotional or mental level, we reach for psychoactive drugs that have calming effects. Interestingly enough, other people’s mistakes are always easier to spot, because we rarely notice when we do something wrong. Reiki is a skill that helps us, by using energy, to discover whether there is an actual problem, then we can locate the focal point of the problem, what caused it, what are the consequences and how we can help ourselves in healing. There is this process of energy exchanges between each of us and the environment we are in, and it happens, both, consciously and unconsciously. Namely, what we give we receive. The universal life energy flows through our minor chakras on our palms and feet. Placing our palms on parts of our body stimulates the supply of our mind and body with optimal life energy, healing, balancing of our energy systems and strengthening defensive mechanisms, what results in improvement in all aspects of our lives. This involves self-healing at Reiki 1 level and healing of others at the following levels ,starting from Reiki 2 level. We can also heal animals and our environment. The gift of this skill, is the possibility to reconnect with ourselves and the environment; a process that will restore our balance and bring peace and serenity into our lives. Also, the lessons we learn through Reiki, and the experience we gain from practicing it, will give us a better perspective and understanding of life and the universal laws. The mind is the center of our basic, but vital functions, and as we say “We are what we eat” on a physical level, it is also “we are what we think” on a mental, emotional and energetic level! This means that the thoughts we project and the emotional reactions that they cause, affect the structure of our mind. Our body, and our lives, are a reflection of our mind. The Earth’s electromagnetic field, as a huge energetic organism in which we only play part of a small link in a very long chain, has its own laws. We are not talking here about and old bearded man sitting in a cloud, counting our good and bad deeds so later he can reward or punish us. It is a mathematical-energetic system that functions on the principle of transferring energy information that has influence, both, on the Universe and on our field, and thus on our lives as well. When we think about something intentionally and intensively , we simultaneously send the energy data that fills the field around us. Our thoughts trigger certain emotional reactions. Whenever we change our emotions, for example, from frustration we go to joy, 1,400 biochemical changes start taking place in our body at that very moment. 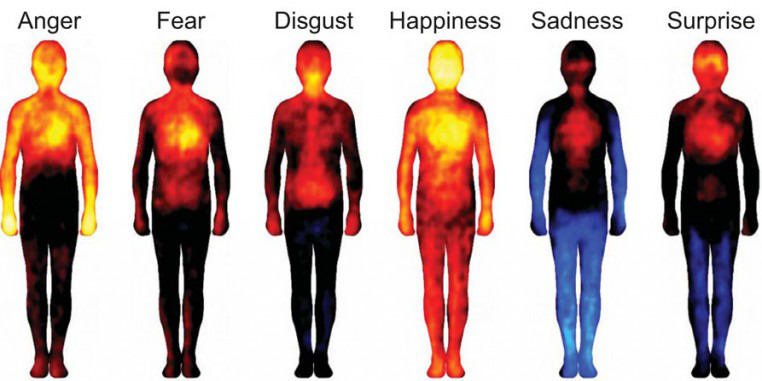 When we think of all the emotions we feel in one day we can see that emotions create many changes in our physiology. So, it makes sense to begin to pay attention to mental food, just as we pay attention to the food we feed to our body. This is one of the keys to better health and definitely slows down the aging process. Strong negative emotions are just degenerating us, whereas positive emotional states regenerate and rejuvenate the human body. Creating thought models by channeling universal life energy helps us tap into the channel of peace and tranquility of our lives. In order to understand in on a deeper level and consciously use the energy around us, we will need the help of the Reiki symbols. Reiki symbols are significant and very important part of Reiki practice. They allow you to focus Reiki energy for special purposes. They are the keys to creating continual and unobstructed flow of energy. Their power and effectiveness comes to us with the love that allows us to accept the value we receive as a gift from the Universe.